E-Mail Validation to remove invalid emails and leads to higher open rates, clicks and conversions further. validates every data and keep your contact database updated. 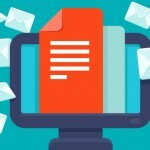 Many a times it comes to your notice that though you have scheduled your e-mail campaigns with all the cautions in place, most of your e-mails ended up in junk folders. Sometimes they are not delivered on scheduled time. Why so? 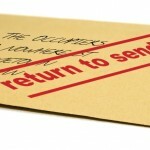 This is because a huge number of email addresses in your list are either invalid or fake. 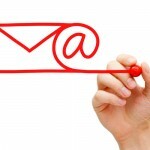 These email addresses not only diminish your campaign's success rate but increases the bounce rate too. BrainPulse offers you an accurate and secure email-validation service. It helps you remove up to 92-96% of invalid or emails and leads to higher open rates, clicks and conversions further. The tool keeps track of previously bounced messages and predicts whether or not an email address has a possibility to get bounced. Our high-tech tool verifies complete data twice that fetched through Data Mining to make sure that that data is active and fit for use. This Email validation tool validates every data and keep your contact database updated without any inconsistency. It's high time to reduce your campaign bounce rate and enhance your marketing efforts. Don't put your campaign success at risk. Call us now at 0120-67490 and request your free Email Validation Service proposal. 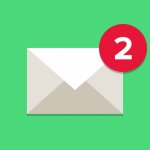 How To Maximize Email Deliverability In Three Steps ?